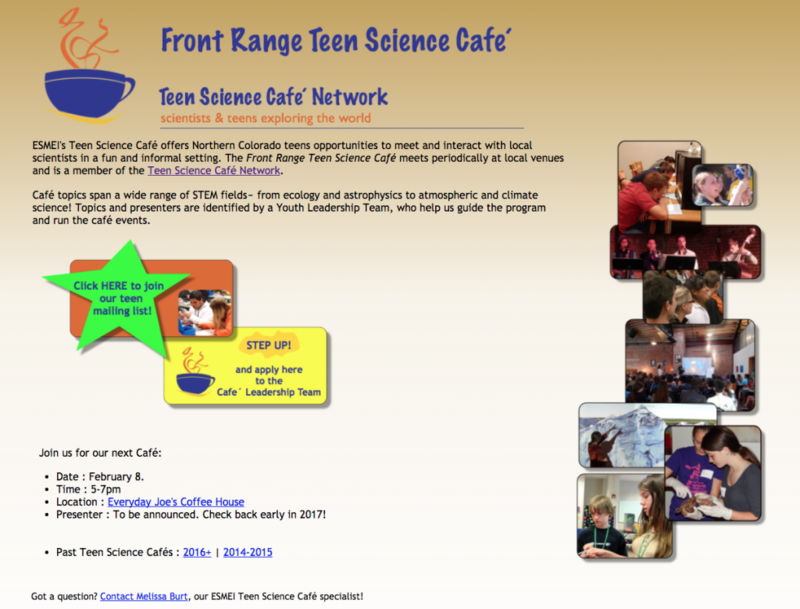 Front Range Teen Science Cafés use the depths of resources available at Colorado State University and the NSF Science and Technology Center for Multiscale Modeling of Atmospheric Processes, to engage the local high school population in science that matters to them. 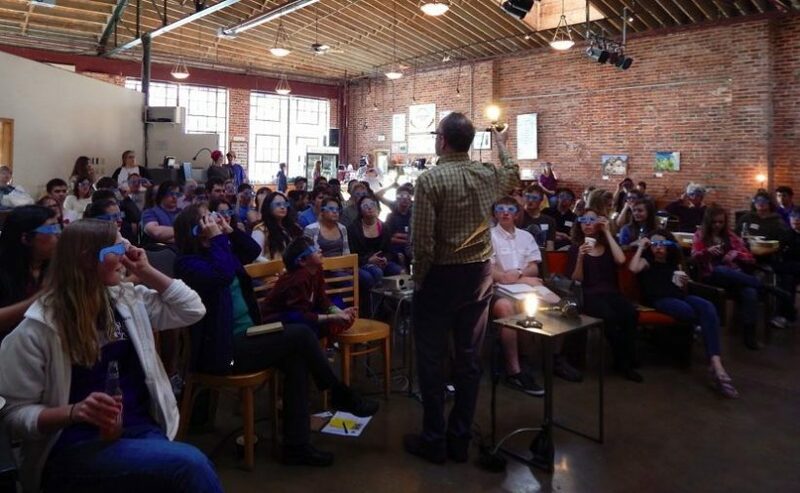 Cafés highlight interesting science related to climate and engage students about the incredible world that surrounds them! 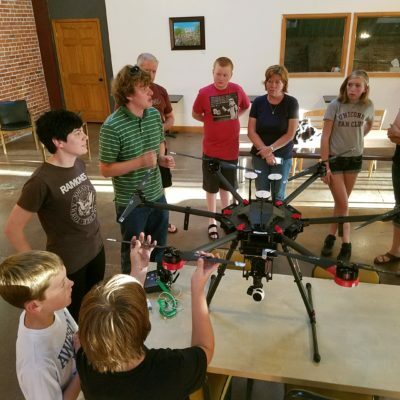 Students interact with a severe weather drone as graduate students answer questions. Held at Everyday Joe’s Coffee House.